In many ways, autumn is one of the more beautiful times of the year. As throngs of trees shutter their leaves and temperatures begin to dip, it’s hard to not be taken aback by the beauty and inherent stillness of fall. Yet as the calendar creeps ever closer toward winter, cold and flu season begins to rear back from a summertime slumber. According to the Centers for Disease Control and Prevention, children older than 2 but younger than 5 have the highest risk of catching the flu. As such, it’s important to get your children inoculated at a CareWell Urgent Care location. There are several considerations before getting your child vaccinated. When should my child get a flu vaccine? According to the CDC, all children from ages 6 months to 8 years old should get an annual flu shot. The sooner the child gets the vaccination, the more effective it will be for preventing extended flu-like symptoms. In much of the U.S., flu vaccines are available from early September through late November. According to the Mayo Clinic, some children require different doses of the flu vaccine each year. Children who require just one annual dose are those who have already had the vaccine before or first received the inoculation at the age of 9 or older. Meanwhile, your children will require two doses if they have never had the vaccination before or are younger than the age of 9. Additionally, if a child hasn’t had a booster since 2010-2011, he or she will require two doses this year. 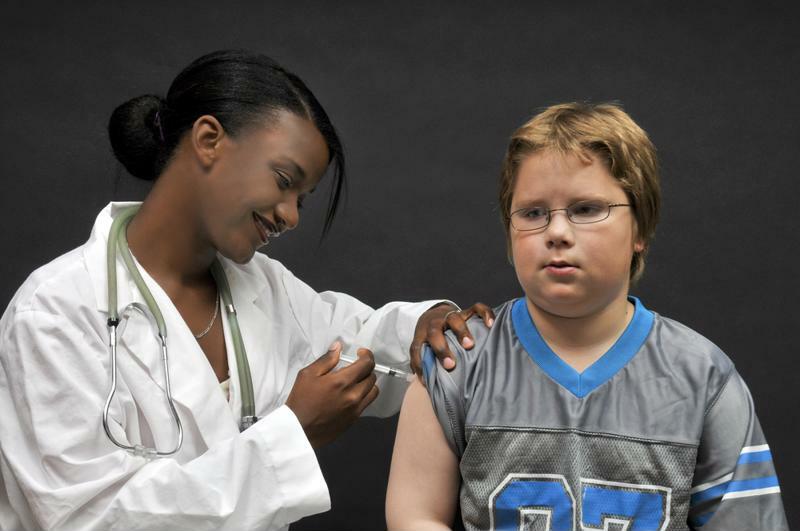 Is there a reason my child shouldn’t get a flu shot? Under very specific circumstances, there are a few reasons that some children should avoid getting the flu shot. As the CDC noted, that’s especially true of children with certain life-threatening allergies, especially to gelatin, antibiotics and other chemical components of modern vaccines. There are also special considerations regarding egg allergies. If a child has only a mild reaction to eggs – like developing hives – then he or she can still receive the vaccination under careful observation. You will also want to avoid getting your children vaccinated if they are currently sick or have a history with Guillain-Barre syndrome, which involves muscle weakness and a compromised immune system. Should my child get a flu shot or the nasal spray? Once again, there are certain parameters that might influence your decision. According to a report by USA Today, there is increasing evidence that shows children should receive the nasal spray over traditional injection methods. That’s because at a younger age, children’s immune systems are better suited for the spray method. In fact, according to a study published in the New England Journal of Medicine, vaccines caused twice as many children to develop influenza compared to the spray. However, the spray does have its restrictions. Primarily, it isn’t recommended for children who are younger than 2 years old, have a history of adverse reactions to the flu vaccine or are allergic to eggs. Are there any common misconceptions surrounding the flu? You need only a vaccine to be protected from the flu: Your children should still take steps to wash their hands and take antiviral medications. Only the sick require vaccination: Everyone should be vaccinated, as it’s one effective method to reduce the spread of the virus. Plus, up to 30 percent of people with the flu demonstrate almost no symptoms. The vaccine actually causes you to catch the flu: Because most vaccines take a couple of weeks to begin working, you can still get sick during that time. It’s important to be mindful of this and utilize the proper safety precautions. Feed a cold, starve a fever: In recovering from the flu, the most important thing is to stay hydrated. There is little data to support the importance of diet during a cold or fever. What are the common side effects of the flu vaccine? Most of the side effects associated with inoculation depend on whether your child received an injection or the nasal spray. For the former, the side effects include swelling, redness around injection site, low-grade fever and muscle aches. Meanwhile, nasal sprays are accompanied by fever, head and muscle aches, and coughing or wheezing. If your child’s symptoms worsen, be sure to take him or her to your physician or the nearest urgent care center immediately.